The TTi Spring-Up Deals period has now ended. 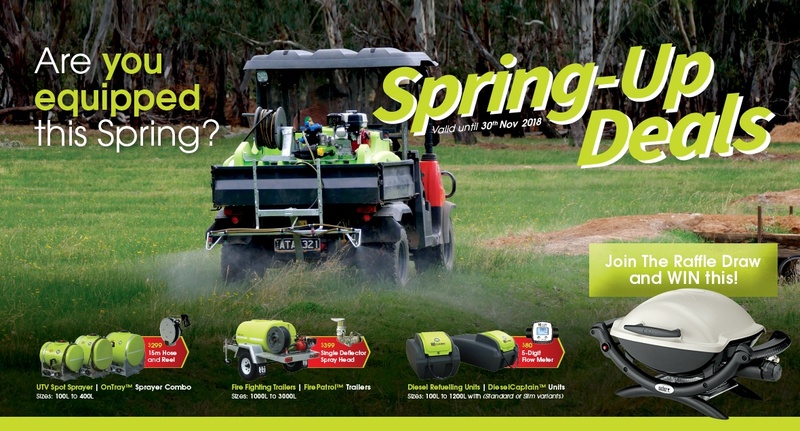 Download the 2018 Spring Up Deals - Specials include spot and field sprayers, fire fighting trailers, diesel refueling units and more! By adding a 5-digit flow meter in your DieselCaptain™ refuelling unit, you'll save $219!